Rabbi Elya Svei was the Rosh Yeshiva of the Talmudical Yeshiva of Philadelphia together with Rabbi Shmuel Kamenetsky, and was internationally known for his incisive, brilliant and clear shiurim, and his ability to offer sage advice to thousands of Jews worldwide. He was a primary talmud of Rabbi Aharon Kotler. 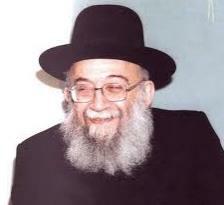 Until his illness in the period before his death, he was regarded as one of the leaders of Charedi Jewry, and was a member of the Moetzes Gedolei HaTorah and chairman of the Rabbinic Administrative Board of Torah Umesorah.